Our Jazz curriculum is based on the classical Jazz dance technique, with influences incorporated from modern Jazz and Broadway styles. The Jazz program focuses on flexibility, rhythm, extension, balance, speed, and strong movement, preparing students for a lifetime of dancing. We follow the class format of building strength, balance and extension through isolations, rhythmic exercises, floor stretches, across the floor patterns, and dance combinations. The class format remains the same through the different levels, while the movements continue to increase in complexity as students grow technically and physically. Strong stage presence and performance are also strongly emphasized in the Jazz curriculum. We offer a Pre-Jazz class. See the Youth Dance page for more information. This introductory Jazz class is for first time Jazz students who are excited to "move to the music" and show off their natural flair for dance. Students focus on listening to the music, finding the rhythm, building basic Jazz technique and vocabulary, and using the power and energy in their movements. This class solidifies the skills learned in Jazz I and further prepares the student for Jazz II, including arm styling, jazz walks, beginning turns, and preparation for leaps. The second jazz class in our program builds upon the movements and technique that students have already learned. More combinations and more complex combinations are learned with a faster speed of movement. Students are expected to be able to memorize all combinations, demonstrate movements independently and learn self-correction. Students will also continue to develop movement vocabulary, balance, coordination, and body alignment. This class solidifies the skills learned in Jazz II and prepares the student with the advanced technique needed to enter Jazz III. 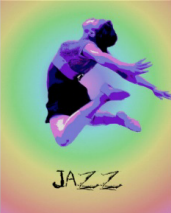 The third Jazz class in our program is for dancers who have mastered basic Jazz and Ballet technique, and emphasizes advanced Jazz technique and movement with upbeat music and fast-paced choreography. 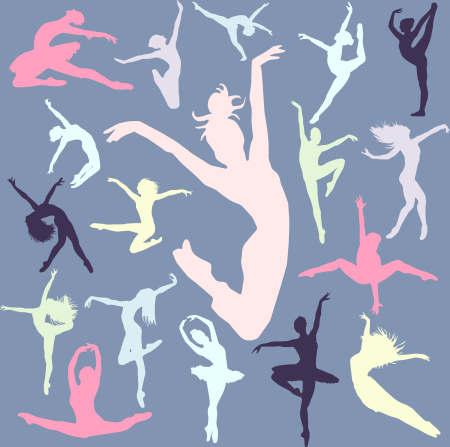 In this level, students gain confidence in their abilities to produce an expressive and well-rounded dance performance. They become more fluent in presenting different Jazz styles: from the classical Broadway to the contemporary fusion dance forms. 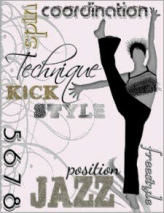 The main focus of this level is the communication of emotions and ideas through Jazz dance. Focusing on the foundations of beginning leaps and turns. The main focus of Leaps & Turns class is improving the technically challenging skills needed to perform dance moves that include leaping, jumping and turning. Students enrolling in this class must have completed the prerequisite classes, and must also be actively enrolled in one other TDC Jazz class. The Advanced Leaps & Turns is for the more upper-level Jazz student wishing to strengthen the skills needed to perform advanced leaps and turns. Class emphasis includes proper body placement in turning positions and leaps, gaining and controlling flexibility and becoming more proficient in multiple turns.